Water is of course vital to life, although of course most people in the First World take it for granted, and as a result awareness of its importance has declined. In Ancient Greece though, the value of water was recognised, and as a result every water source had its own deity. Major gods, like Poseidon, Oceanus and Nereus were given dominion over the major waterways, the seas, but smaller sources, like rivers had their own gods, the Potamoi. The Potamoi were the sons of Oceanus, the god of the earth encircling waterway, and his wife Tethys. Nominally, there were 3000 Potamoi, just as there were 3000 Oceanids, the water nymph sisters of the Potamoi. The reason why there was said to be 3000 Potamoi was because each river would have its own river god, although, in antiquity, there were not 3000 known rivers, and from ancient sources only about 125 individual Potamoi can be identified. Potamoi were commonly depicted as men, carrying jugs from which water flowed, but they were also commonly thought of in terms of bulls, both in strength and sound. Potamoi were not simply gods associated with rivers, but they could also be strong characters quick to anger, and yet at the same time, Potamoi were also considered to be the protectors of the young. As well as being referred to as river gods, Potamoi were also regarded as kings, and many royal households would start with a named Potamoi, and so Asopus was considered to be the first king of Sicyon, Eurotas, the first king of Laconia, and Inachus, the first king of Argos. Despite this royal heritage, Poseidon was still considered to be the King of the Potamoi. Not all Potamoi were necessarily the sons of Oceanus though, and several famous rivers had deities associated with them who were not the offspring of the water god. In the Underworld, the rivers Styx and Lethe both had goddesses associated with them. 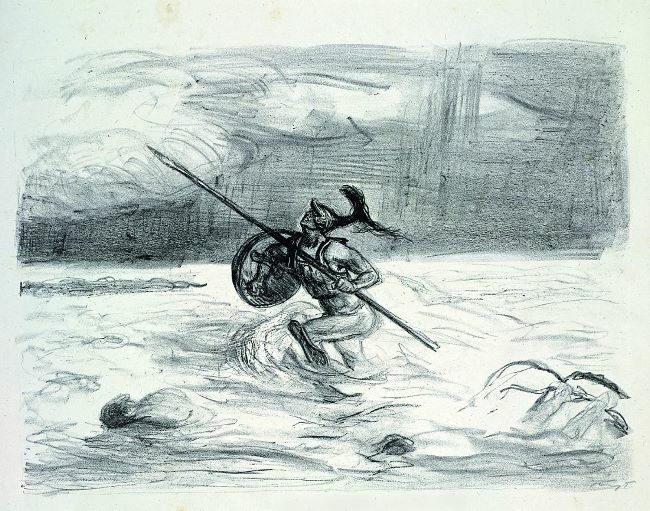 Styx being an Oceanid, who had allied with Zeus during the Titanomachy, and had been rewarded with her new role, and Lethe was the daughter of the goddess Eris. Likewise, some Potamoi were transformed mortals. Evenus was an Aetolian prince who tried to drown himself after his failure to rescue his daughter, and in sympathy the gods of Mount Olympus transformed him into a Potamoi. The most famous transformation comes from Ovid though, in the Metamorphoses, when the Roman writers tells of the transformation of Acis, after the Cyclopes Polyphemus tried to kill his love rival, when Galatea was the source of both figures affections. Like many gods Potamoi were regarded as being quick to anger, and they would often appear in disputes and fights in ancient tales. 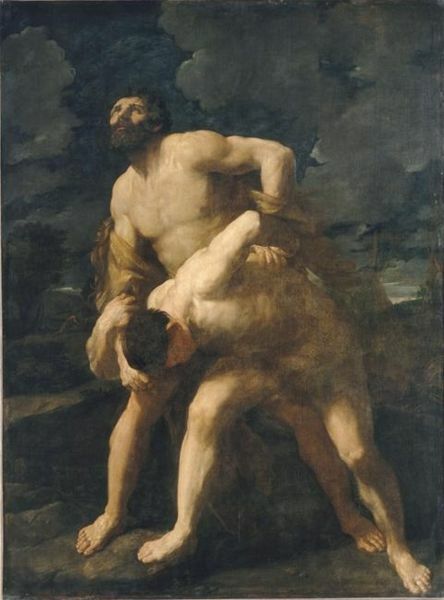 The Potamoi Brychon would side with the Gigantes against Zeus and his brethren during the Gigantomachy, and Hydaspes would oppose Dionysus when the latter went to war with the Indians. The Potamoi Asterion, Cephisus and Inachus would also appear when Hera and Poseidon were in dispute. The pair of Olympian deities were arguing about the ownership of Argolis, and despite being the king of the Potamoi, the three river gods would rule against Poseidon. In retribution Poseidon would ensure that the 3 rivers would run dry during dry spells. Potamoi would also famously fight against demi-gods in the form of Achilles and Heracles. Achilles would fight with the Potamoi Scamander, after Achilles had insulted the ally of Troy. Despite being the greatest of Achaean fighters, Scamander thrice came close to killing Achilles, and it was only with the intervention of Hera, Athena and Hephaestus that saved the son of Peleus. Another demi-god, Heracles though, did manage to best a Potamoi, for Heracles fought with Achelous when the pair vied for the hand in marriage of Deineira. An even fight would eventually see Heracles victorious, and the fight would also give rise to one tale of the origin of the Cornucopia, for Heracles broke off a horn of Achelous during the bout. Away from the fighting Potamoi were also known for the love lives, and the Naiads, the fresh water nymphs, were considered to be the offspring of the Potamoi. The Potamoi would often have to be protectors of their daughters, for the beauty of the Naiads often brought forth unwanted attention.